The BD406 is a high-performance monitoring device that receives and decodes signals transmitted by emergency radios (ELTs for aviation use, EPIRBs for maritime use, and PLBs for personal use) during distress situations. The BD406 is intended for immediate and direct detection of distress messages (transmitted on 406 MHz). 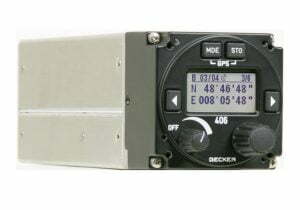 The BD406 decodes the positions of radio beacons contained in the transmitted message and shows its relative position. The PBD406 is the portable version of the BD406.